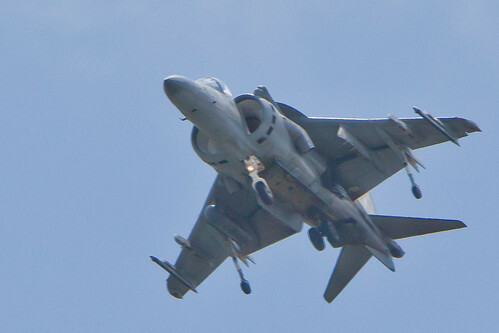 I had fun yesterday shooting the Marine Corps Harriers as they made several low passes over the Vertical Challenge Airshow sponsored by the Hiller Aviation Museum. The two Harriers were from Marine Attack Squadron 513 (VMA-513) known as the Flying Nightmares. I was using my Canon 5D Mark II with the 70-200mm f/2.8 lens and a 1.4x teleconverter.